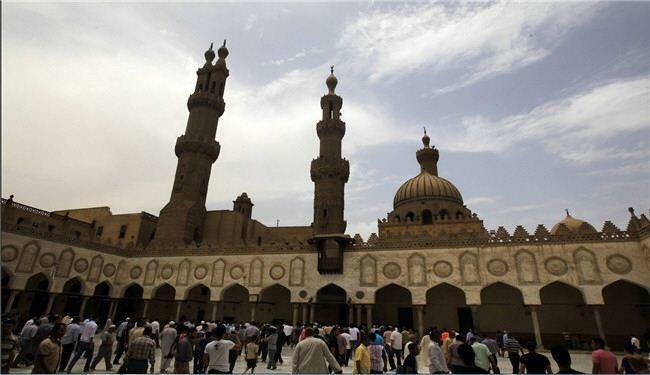 JNN 06 Mar 2014 Cairo : An official with Egypt’s Al-Azhar Islamic Center said Takfiri ideology has nothing to do with Islam. Mohammad Abdul-Ati, head of the center’s educational sciences department, said any Takfiri or criminal idea that targets Muslims runs counter to Islam, Fativ website reported. He said that the divine religion bans violence and intimidation, noting at the same time that Islam considers defending one’s land against foreign aggression as an obligation. Abdul-Ati added that one who is killed on the path of defending his homeland is considered a martyr. Takfiris are radical groups who consider some Muslims as infidels and based on this baseless premise commit heinous crimes against Muslims in different countries such as Syria, Iraq and Lebanon. This entry was posted in AFRICA and tagged Cleric, educational sciences, Egypt, Islam, Jama Al Azhar, Mohammad Abdul-Ati, Muslim, takfiri. Bookmark the permalink.